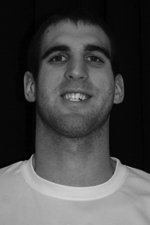 O’Leary, a senior out of Reading, Pa., helped guide the men’s volleyball to their third-straight national title. O’Leary, the AVCA Division III National Player of the Year, racked up 27 kills during the tournament, connecting at a .706 clip while tallying 11 blocks and seven digs. In the championship game, O’Leary landed 13 kills, hitting at .750, while picking up five of his seven digs. O’Leary finished second on the team with 247 kills on the season while finishing the year with 128 blocks, good for an average of 1.19 blocks per set, a team high. O’Leary graduates with three national titles to his name while playing under head coach Charlie Sullivan. Q. How did it feel to be named AVCA Player of the Year? A. That award goes to my teammates. I would be nothing without them. If I was the only player out there, I would have three blockers out there in front of me every single time. If they’re dealing with Ricky, I have an open spot so I just try and put it away. Q. Did you have a specific game plan going into the National Championship against Juniata? A. Juniata has great blockers, especially in the middle. [Joe] Bortak is always great every year. I don’t really have a game plan. Keaton [Pieper] runs the offense; he just does whatever he wants. I am not the type of person to complain about how many times I get set the ball. If he gives me the ball I try to put it away. Q. Did you feel a lot of pressure having to fill the shoes of Greg Falcone this season? A. Greg [Falcone] has been a big factor for me in years past. He approached me after last year and told me that I was going to have to step up next year, and I tried to fulfill the role that he had. Versprille, a senior goalkeeper out of Franklin, Mass. and captain of the Springfield College women’s lacrosse team, has proved to be the backbone of the defense for head coach Kristen Mullady and the rest of the Pride. Posting impressive statistics throughout her senior campaign, Versprille was impressive enough to coaches from around the league to garner New England Women’s and Men’s Athletic Conference Player of the Year. This is the first Player of the Year honors for the women’s lacrosse team since Jackie Moscardelli won the award in 2012. Versprille, a Physical Education major, finished the season only allowing 8.15 goals per contest, while also posting a save percentage of .496. Versprille’s save percentage ranks her second in the NEWMAC and 36th in the nation in this statistical category. Q. How did it feel to win NEWMAC Player of the Year? A. It was very exciting. I wasn’t expecting it all so it was fun news. I think it shows how much I have learned from my teammates, coaches and family the last four years. They all made me a better player and person. Q. What will you remember most about playing at Springfield College? A. There are definitely certain games I will remember, but I will mostly remember my teammates and all that we went through together. When you go through ups and downs with your teammates throughout each season, you form friendships and memories that will last forever. Q. What are some words of advice you want to leave for your teammates? A. Work hard and when you do that know that it’s not just for you. When you make yourself better, you make your teammates better as individuals and your team better as a whole. Give the coaches your best effort because they are excellent coaches and will help the team reach their full potential.